UPDATE: This amber alert has been canceled. 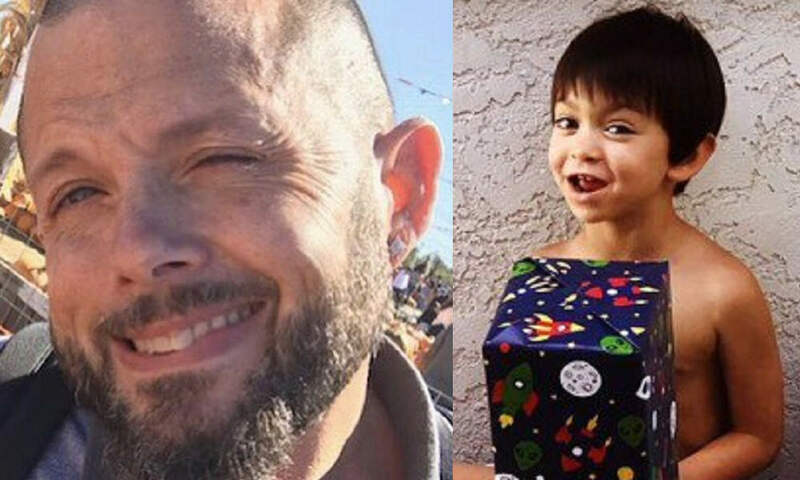 A California Amber Alert has been issued for 6-year-old Jayce Alexander Cosso after he was allegedly abducted from Modesto by his father, local officials say. Anyone with information is urged to call 911 immediately. The incident happened at 7:24 a.m. PT on Monday when Jayce was allegedly abducted from his home. His mother reportedly told police that he was taken by 3 men, including her ex, who pulled them apart. The main suspect has been identified as the child’s father, 41-year-old John Christopher Cosso. He’s described as a white male with a shaved head and hazel eyes, standing 5 feet 11 inches tall and weighing 190 pounds. He also has tattoos on his face. Christopher and Jayce are believed to be traveling in a black 2012 Ford Fusion with California license plate number 8BDY654, according to the amber alert. It’s unknown where Christopher may be taking the child. Jayce is described as a 6-year-old white male with brown hair and brown eyes, standing 2 feet 6 inches tall and weighing 35 pounds. He was last seen wearing a black Transformers t-shirt and faded green camo boxers. Anyone who sees the suspect or the victim is urged to call 911 immediately, or call the California Highway Patrol at 916-843-4199 if you have any other information that could help investigators.